See how the ancient Hebrews went from grumbling sin in Meribah, to wanting to have their own way through Kadesh, to death and mourning on Mount Hor, to defeat and victory in Arad, right back to complaining about their bellies on the way around Edom. Their focus on themselves, when God was “not far from each one” of them, always brought judgment. We moderns are no different. We complain against God, want to have things our own way, and suffer death—if not by fiery serpents, then by the bites of our own tongues. Such ignorance is no longer overlooked. Judgment of our crippling, human disability is coming. 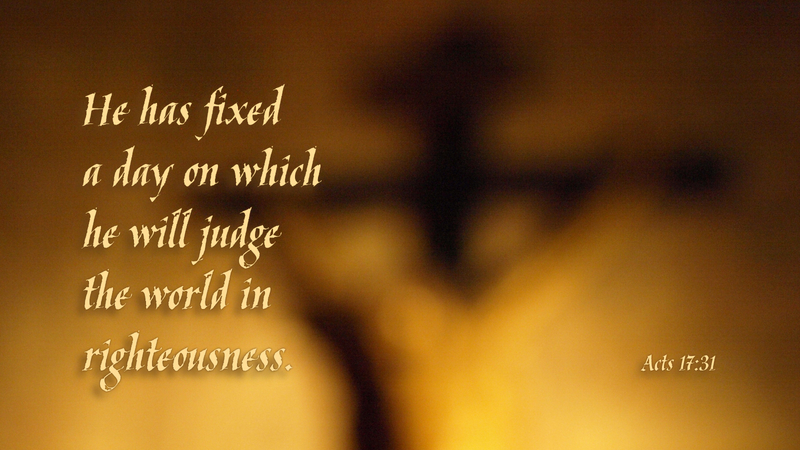 The whole world will be judged by a rule of righteousness that is equal to that of Christ. No one can be so able and good, and all are judged to die. The only remedy is found in the words of the old poet. We can live, and move, and have our very being in the God who is near us. Christ Jesus saves, freely giving his righteousness to all who look to him in faith, as the ancient Hebrews looked on the bronze serpent, believing they would be saved from death. Prayer: Turn my eyes to you, Lord. Amen.